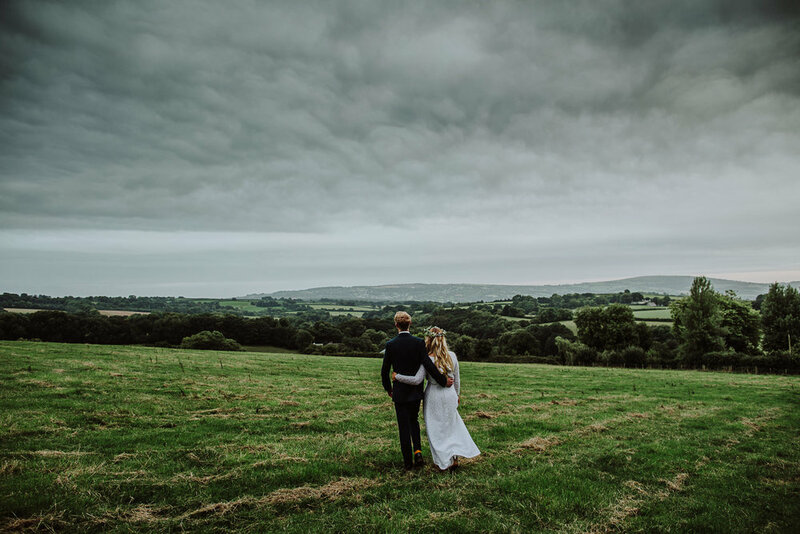 I loved absolutely everything about Ste and Nat's beautifully simple country wedding tucked away in a valley in the rolling Devon countryside. 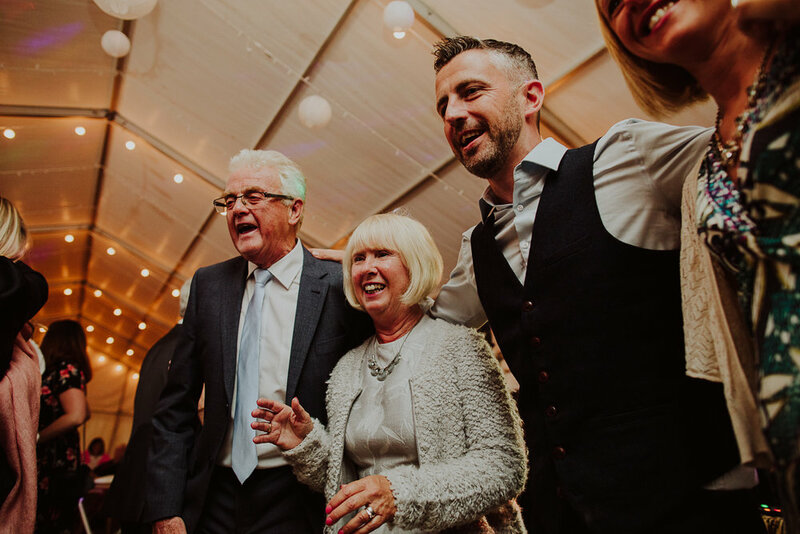 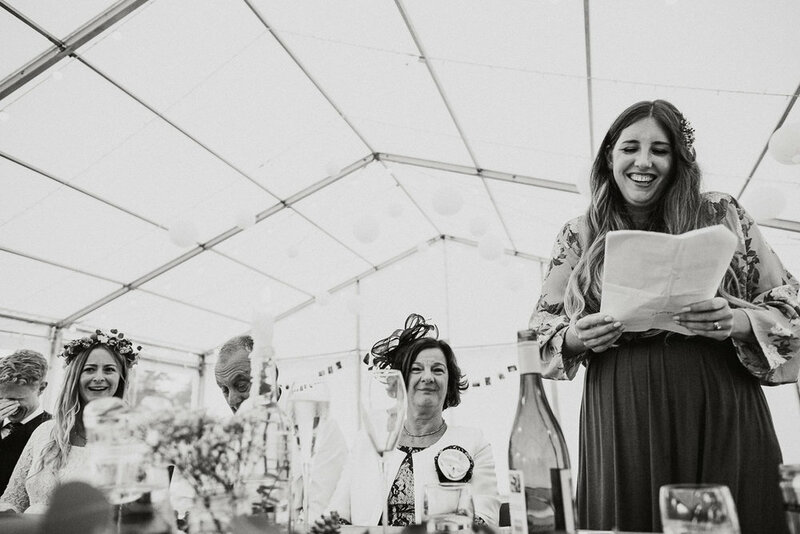 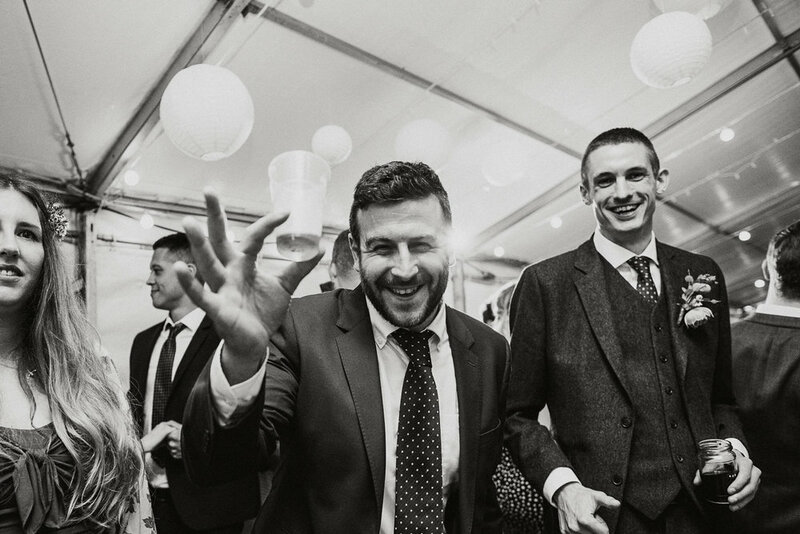 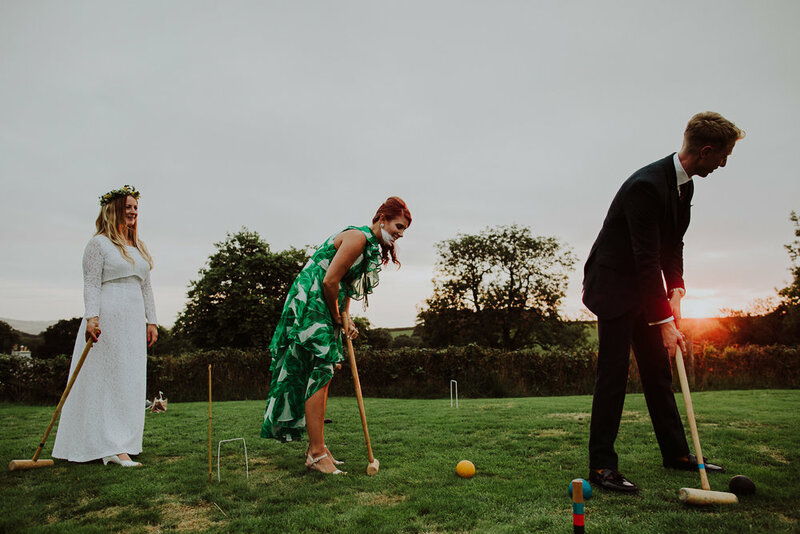 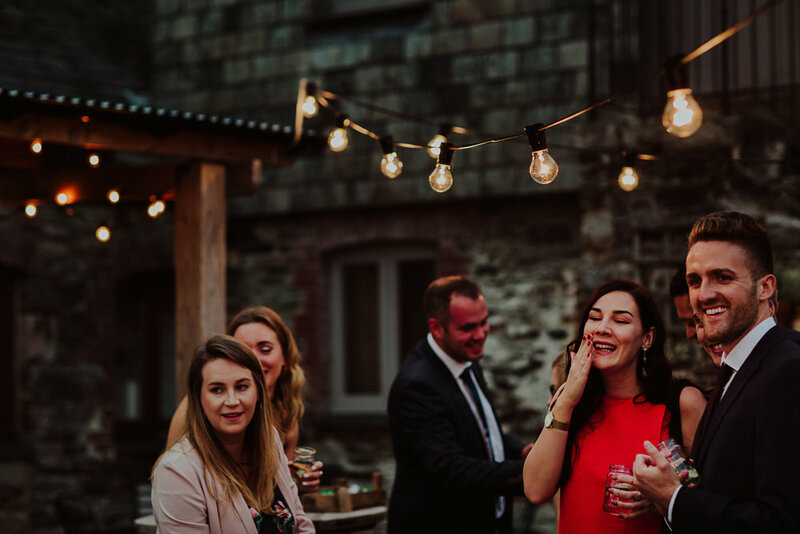 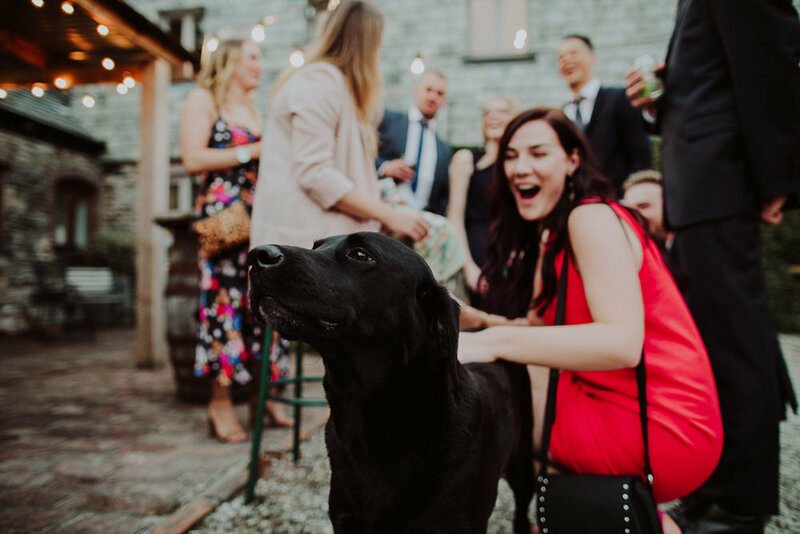 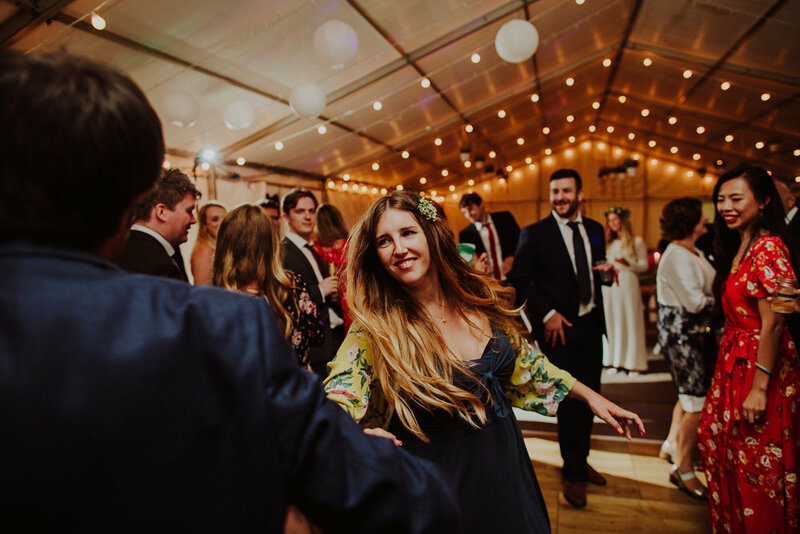 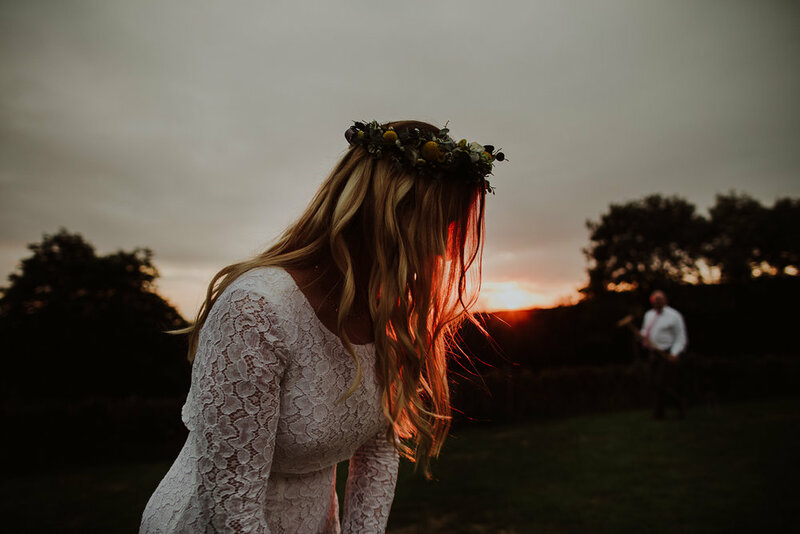 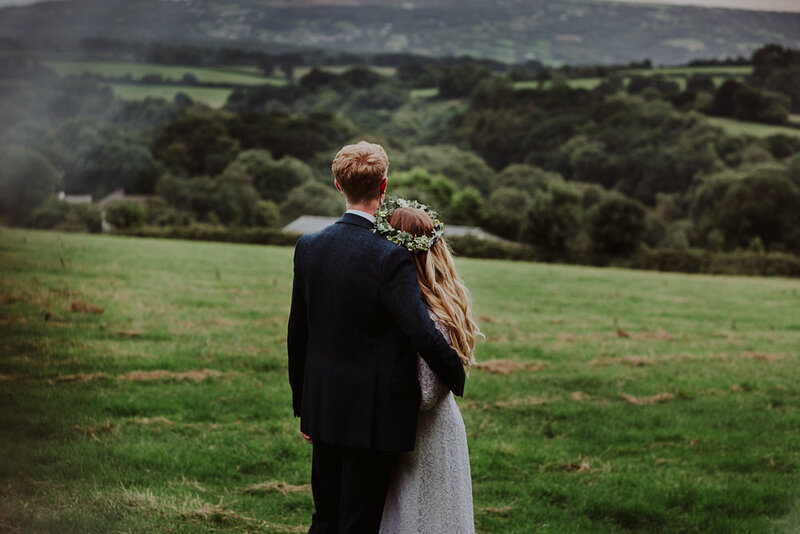 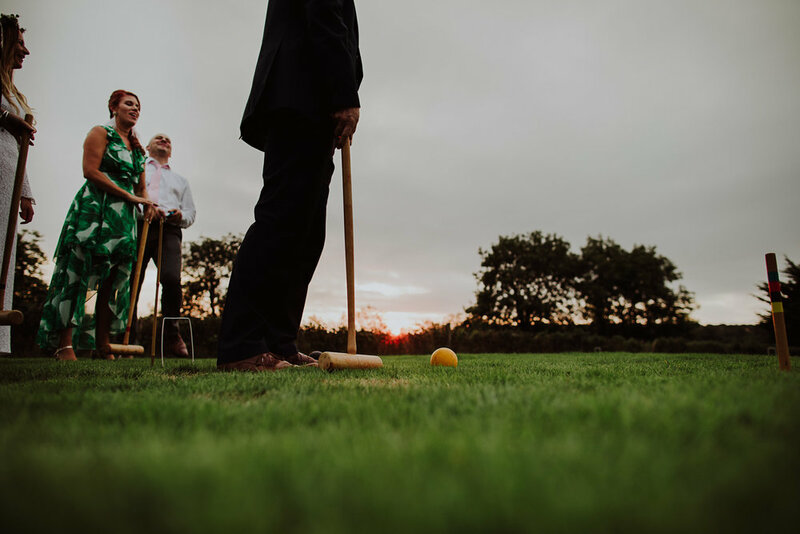 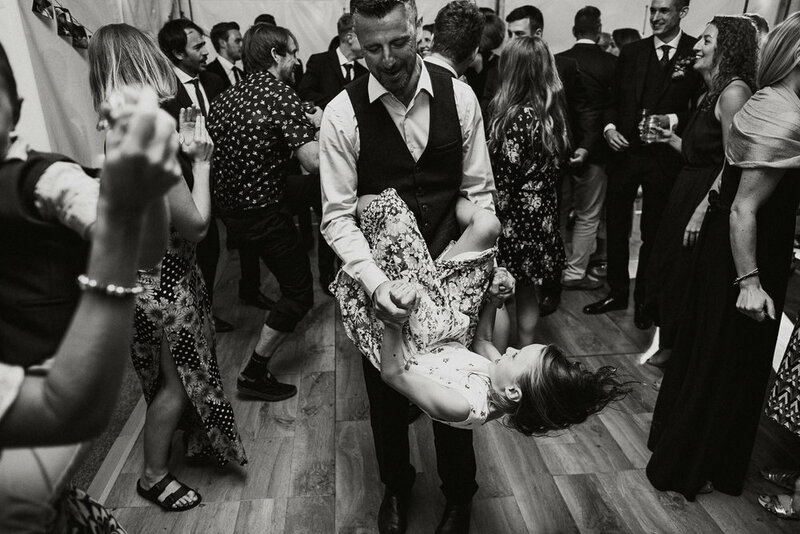 This wedding venue had all the picturesque rustic charm you could possibly want for a day of celebrating whilst buried deep n one of the prettiest corners of rolling green landscape, with views across to Dartmoor. 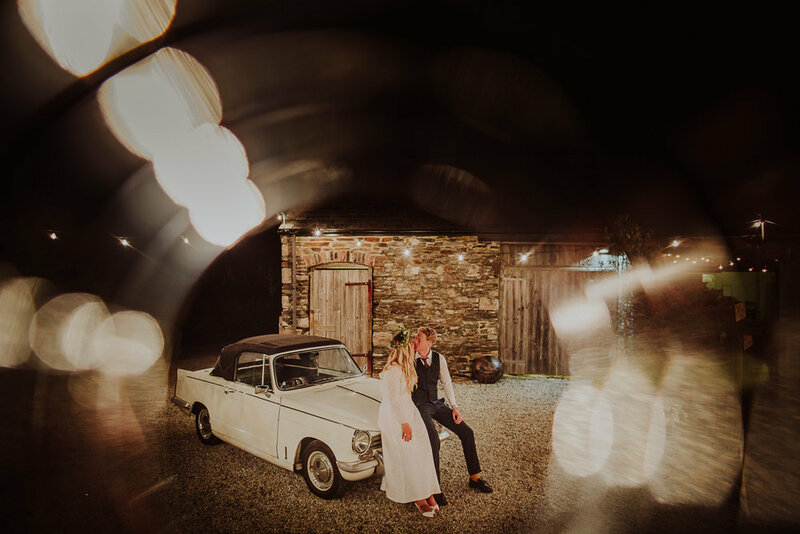 Rolling up in a vintage Triumph Herald, bride sported a gorgeous vintage dress and one of the loveliest floral headdresses I’ve seen. 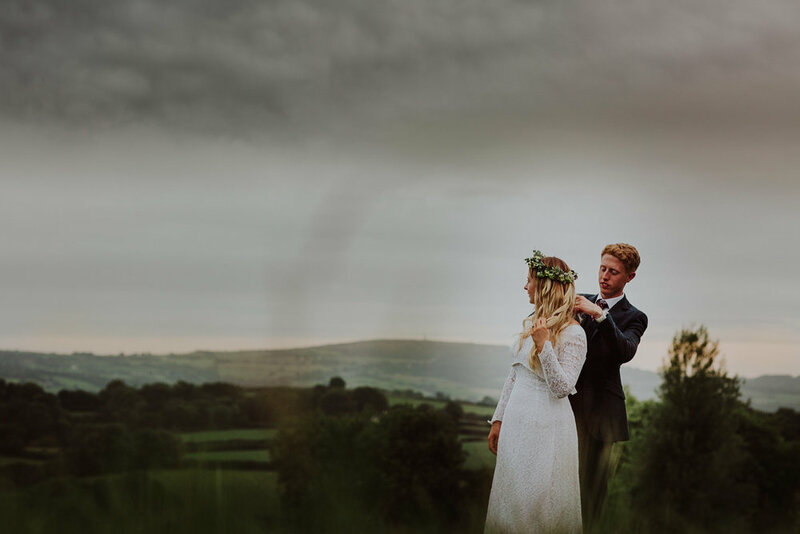 What had started as a drizzly morning cleared away enough to allow Nat and Ste’s dreams of an outdoor wedding and they were able to get married in Wonwood Barton’s apple orchard. 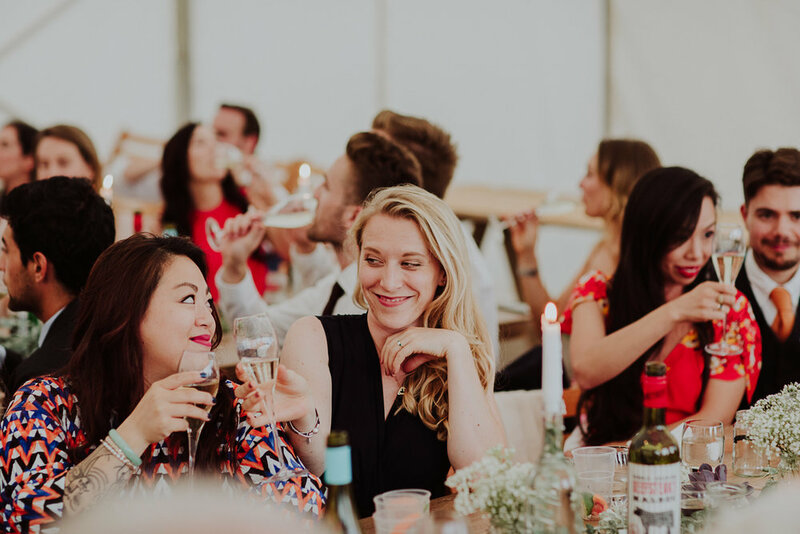 It being late summer, even a few wasps came to join in the partying - they were soon happy tucking into honey whilst everyone else enjoyed prosecco. 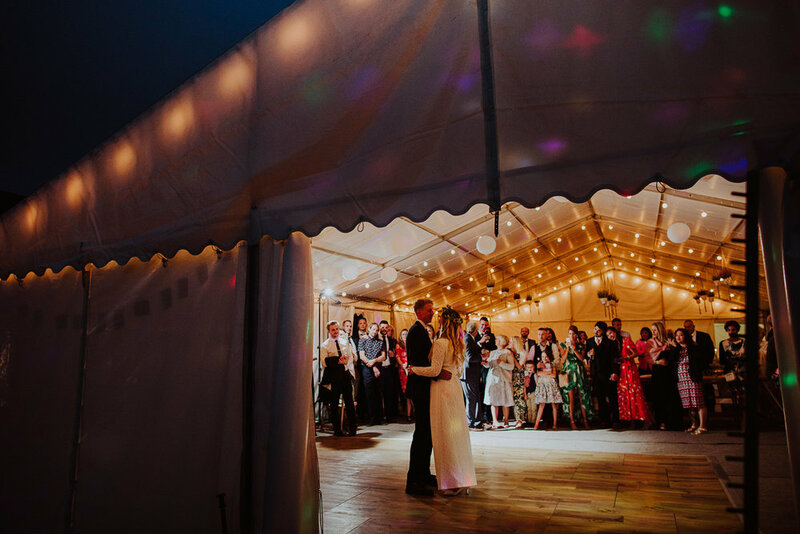 Highlights of the day included: the gorgeous apple orchard ceremony spot; Nat’s vintage dress; the flower arch lovingly crafted by Nat’s Dad; the cute little pageboy’s determined stride when delivering the rings; the beautifully decorated marquee; Ste’s speech listing all the wonderful and unique elements to the life that they share; the wasps - free entertainment; the venue's lovely black lab; after a overcast and cloudy day, a blazing red sun appearing briefly just below a bank of clouds before disappearing over the horizon. 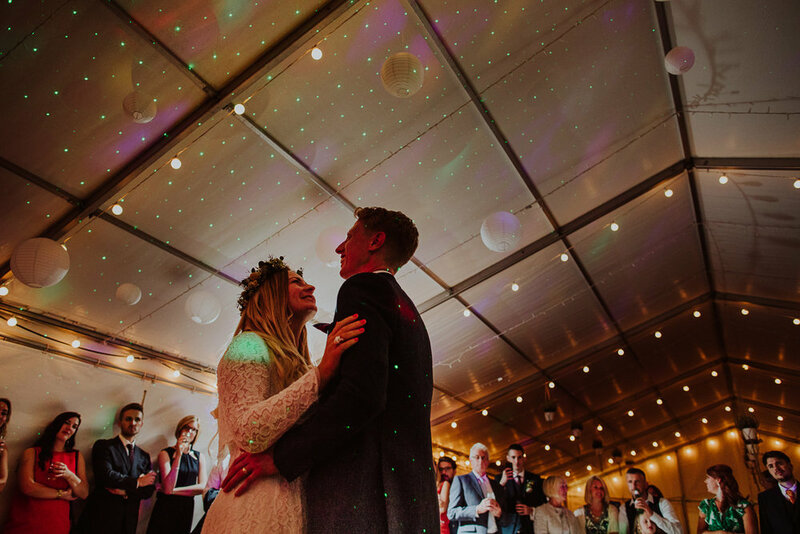 “Red sky at night, keeps a marriage shining bright” I think is how the saying goes! 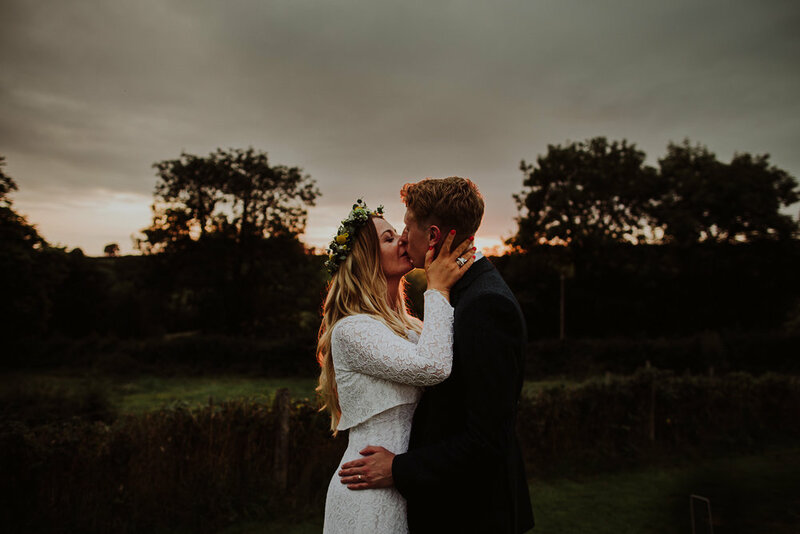 Ste, Nat - it was such a pleasure to capture your big day and I wish you both many, many happy years of adventures in your married life together.